A custom real estate website with a compelling design and functionality not only impresses buyers and sellers — it strengthens your digital presence and makes you stand out in the crowd. At Southern Web, one of our specialties is crafting custom IDX-enabled websites for real estate brokerages and agents. What is an IDX solution and why is it vital for today’s real estate professionals? Short for Internet Data Exchange, IDX allows agents and brokers to efficiently utilize their multiple listing service (MLS) memberships by displaying property listings directly on their website. It is a critical tool that encourages lead generation. Take a look at some of our past custom real estate website projects, and contact us today to get started. 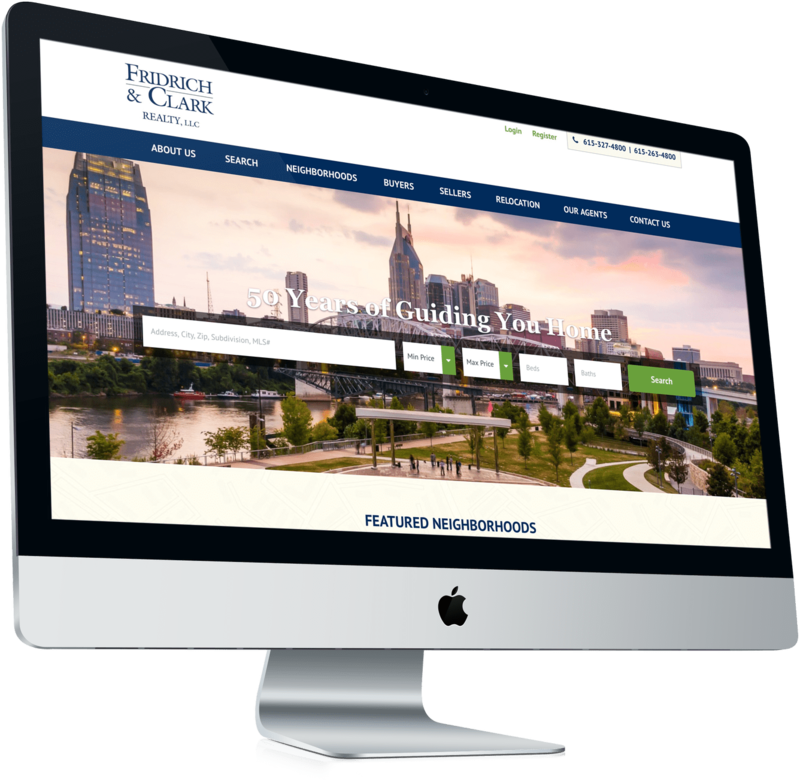 Our team was asked to craft a clean, professional website that properly reflected Fridrich and Clark Realty’s status as one of Nashville’s largest and most trusted real estate brokerages. 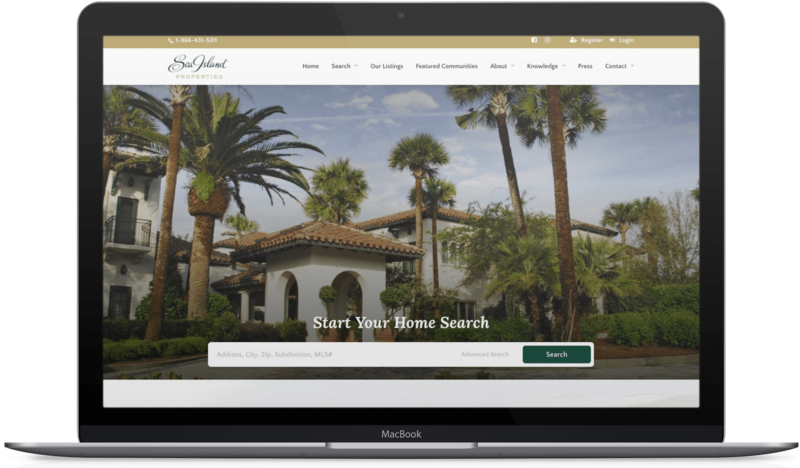 The new responsive website we launched for Sea Island Properties is a visual delight filled with bright, colorful imagery.